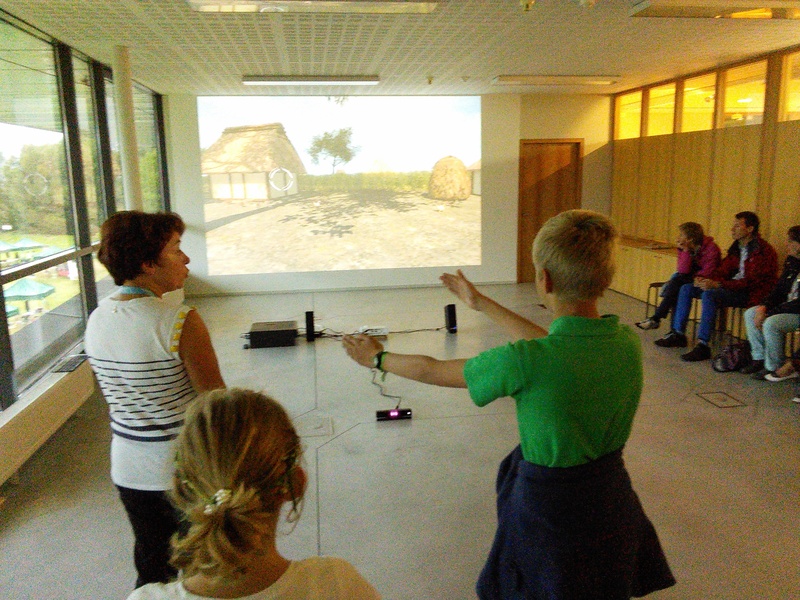 During the whole day at Open Monuments Day (Sept 13, 2015) guided virtual tours through Ename in 1290 were made in the Ename Heritage Centre. Guide Wivine Devisscher took a large number of people through an appealing journey through the Middle Ages in Ename and many children and adults tried the virtual walk themselves. If you want to experience the virtual walk-through yourself, reserve your slot here.